Adventure Wagon Folding Utility Wagon And Upgrade Kit | BUDK.com - Knives & Swords At The Lowest Prices! 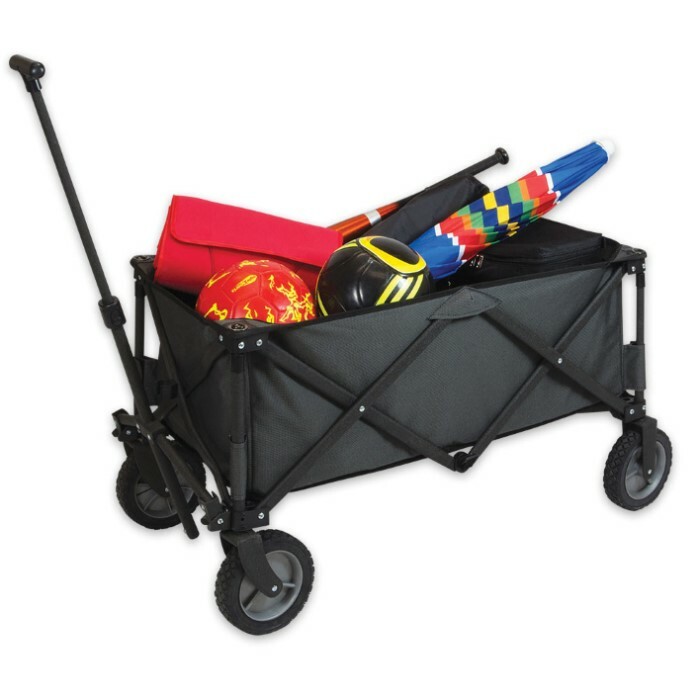 It is 36" x 18" x 13"
The Adventure Wagon is a portable, folding utility wagon with heavy-duty wheels and telescopic handle. Just load it up with your family’s gear, food, and accessories so you’re not lugging it yourself. 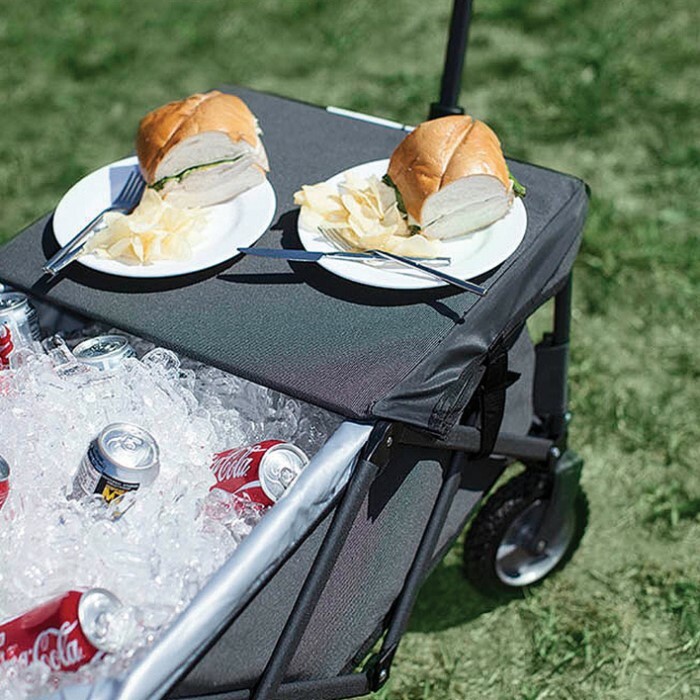 The wagon folds compactly and is made of 600D polyester with a powder coated steel frame. The kit includes a fitted carrying cover with handle, a sturdy folding table top, and a fitted removable waterproof liner with drainage spout. The heat-sealed PVC liner is 32" x 16" x 15" and the tabletop is 35" x 19" x 2 3/4".